I have been looking at sprouters for awhile and I finally settled on this one. 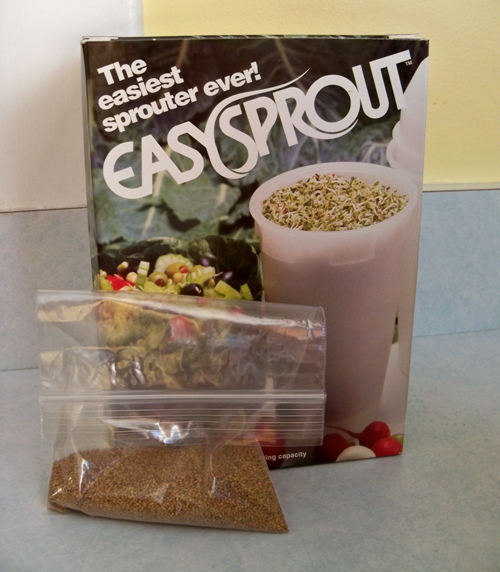 I figured how could I go wrong with EasySprouter - The easiest sprouter ever! 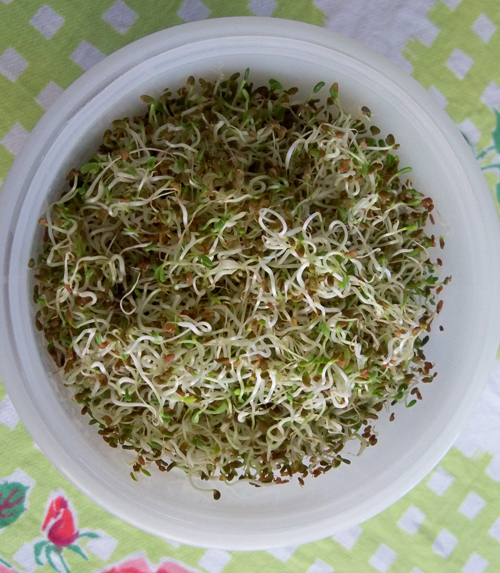 The first seeds I tried were alfalfa sprouts. 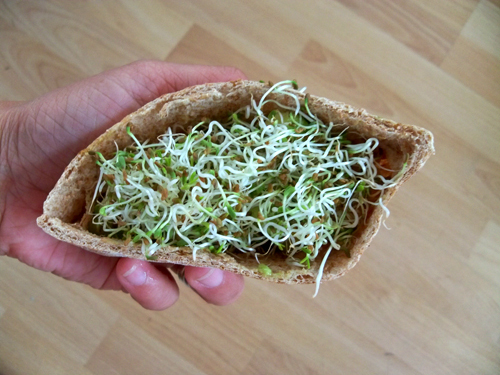 We ate some of the sprouts with avocado and tomato in pita pockets. Next up... bean sprouts! Wow, yours turned out so nice! I have one called, Kitchen Sprouter. 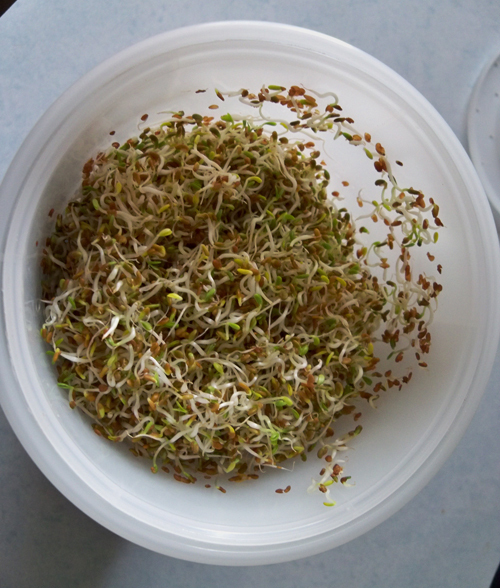 I've tried to grow alfalfa sprouts three different times and they never turn out. I follow the directions precisely, but they always stay way too moist and then get moldy and stink. Yuck! Very frustrating. Oh! My mom used to sprout all the time. Now I buy...but its not the same. And I'm craving a pita with sprouts and avacado. You should also give sunflower sprouts a try. They're pretty amazing.